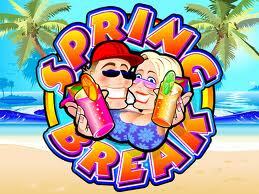 Spring Break Slots - 5 reel, 45 online coin slots and 9 pay line game! Mobile Bingo Bonuses bring you a slot game based on the best time of the year in America, the celebrated Spring Break Slots, woohoo!! So grab yourself a beer and hot dog and head down to the pool to catch some rays, because this great game is available on mobile devices. What is Spring Break Slots? 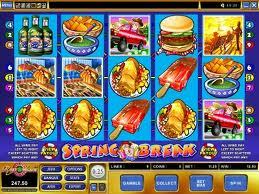 Spring Break Slots is a 5 reel, 45 online coin slots and 9 pay line game, with an RTP (return to player) of 96.10%. 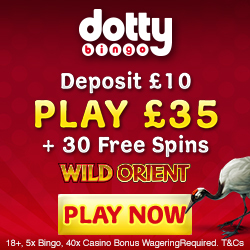 You can bet from as little as 0.45p to a whopping £45, meaning you’ll receive both higher pay outs and greater prizes. You’ll enjoy colourful graphics such as BBQ’s, beer, ice lollies and burgers, plus you have the added excitement of a scatter, two bonus and a wild multiplayer feature. The wild symbol is the Spring Break logo, and if you hit 5 icons in an active pay line you’ll receive the top prize. Wilds in this slot game substitute any icon except the scatter bonus. The scatter bonus symbol is the Beach Party logo, and scatter 2,3,4 or 5 anywhere on the screen and your bets will be multiplied by 2, 5, 20 or 500 times respectively. If you spin 3 or more scatter symbols you’ll receive 15 bonus spins and all bets are tripled during bonus games. There is a gamble feature if you fancy taking a risk on the Spring Break Slot. After every win you’ll notice that the gamble button will flash, and if you’re interested in making more money you simply need to click. If you guess the colour of the down turned card correctly, then you’re a winner and you’ll double your prize; again if you guess the suit correctly then you’ll quadruple it. So if you’re ready to get the summer fun going then check out this slot game, on a great site called Guts Casino. 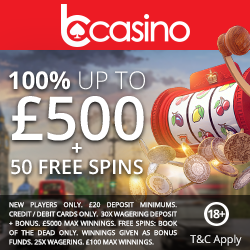 They also offer regular weekly and monthly promotions such as More Money Mondays and Bonus Spins Friday, where you can earn more bonus credit to keep the entertainment going. To register and take advantage of the welcome package simply head to Guts Casino and you’ll find Spring Break Slots on their video slots page.